If you are interested in getting fully legally married where you want, when you want, and how you want – then our bespoke celebrancy services are for you. If you want a marriage ritual that is spiritual, unique, alternative, magical and memorable – whether it is a fully legal wedding, a simple but genuine handfasting ceremony, or a renewal of vows – then please read on. 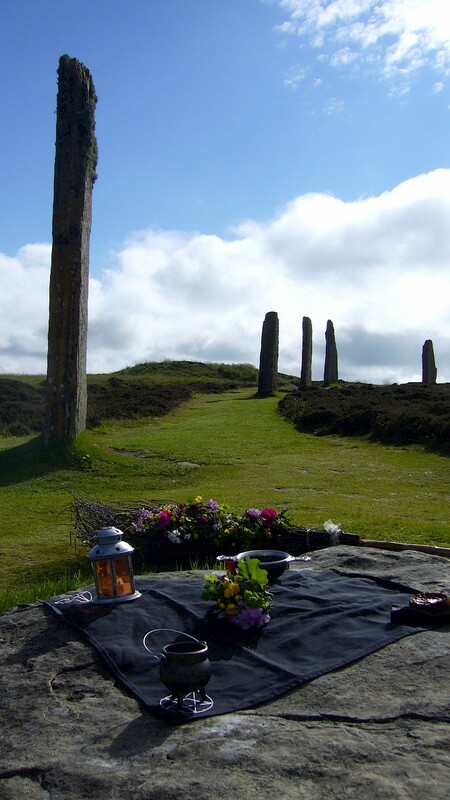 If you want more choice over how you get married, or you need an Orkney celebrant for any other life ritual – then we can help. 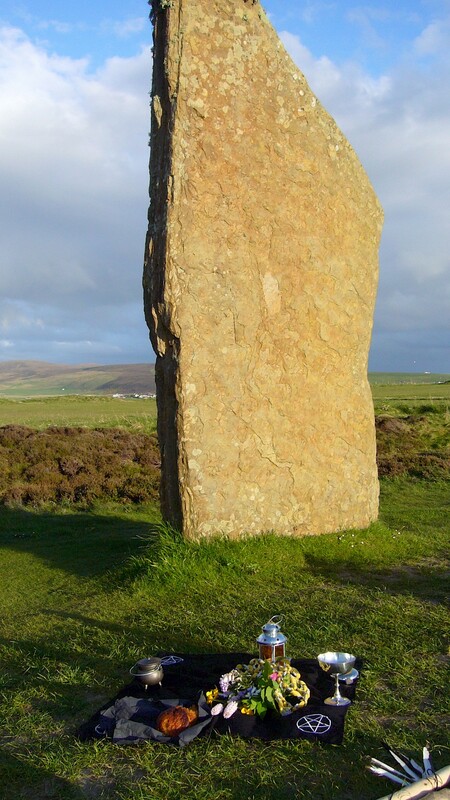 Orkney is full of ancient sites which resonate with the power of the ancestors, enigmatic historic ruins, and some of the most stunning natural environments in the world. 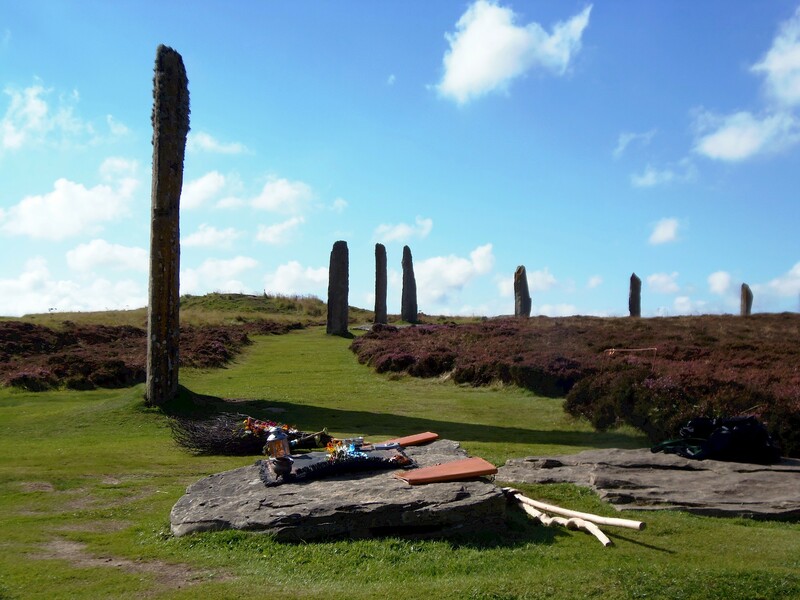 So you could make your vows at a stone circle, a beach by moonlight, or a dappled woodland … where else could you get married whilst being protected by ancient stones and serenaded by curlews and skylarks? We are approved Scottish Pagan Federation celebrants and are available to assist you in making your wedding day what you want it to be. We are both experienced in composing and performing different styles of ritual and ceremony, including ones which combine themes. We can assist you in producing a ceremony that meets your exact and personal requirements. We will help you to get married how you want to – you can even write the ceremony yourselves! And you don’t have to call yourselves Pagan to use our services, in our experience, many couples consider themselves to be more spiritual than religious, or to have an affinity with nature, or maybe just want something a bit different. You are allowed to get married in Scotland even if you do not reside in Scotland. And you do not have to be resident in Scotland for any period of time before your wedding. This means that anyone travelling to Scotland from outside Scotland, including overseas, can be officially married in this manner. Marriages conducted in Scotland, by a Scottish Pagan Federation Celebrant, are recognised as fully legal weddings throughout Britain and the rest of the world (if travelling from outside the UK you are advised to obtain independent legal advice on this). We can help with every stage of organising your wedding in Orkney. We can advise you on the legal processes involved, and we can assist with suggesting and arranging a suitable venue. We fully appreciate that all weddings are personal and your relationship is special, so we will do the majority of communication with you individually and in person, either by email or by telephone - so that together we design a ceremony that fits exactly to your specific requirements. This is all part of our service. Please email us even if you would just like to make a general enquiry.